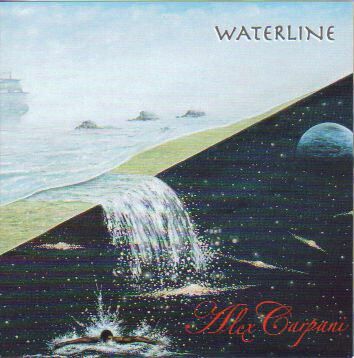 Keyboard player Alex Carpani made the first demo of 'Waterline' in his home studio in only three weeks. The concept album - about the thin line dividing two worlds, one above water and one beneath, one familiar and one unknown - was originally an instrumental piece of work. This demo was sent to L’Orme’s well-known singer Aldo Tagliapietra where after the decision was made to add lyrics. 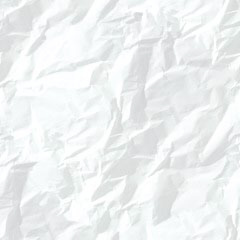 Through him, contact was made with Dan Shapiro’s American prog label Cypher arts (a.o. Shaun Guerin, K2, Clearlight, Cyrille Verdeaux). Through this connection even Paul Whitehead came in sight as art work designer. Inspired by his work and together with him and with Dan Shapiro the lyrics were written by Alex Carpani. Afterwards some well known American prog rock musicians were roped: Neil Bettencourt on drums, Dan Shapiro and Ken Jaquess (bass), Tony Spada, John Thomas, Robert Wolfe and Marc Pattison (guitar) and Cory Wright (sax and flute). The opening song ’The siren and the mariner’ gives a hesitating and not immediately catchy start, followed by four traditional sympho rock songs in classical Italian style, think about L’Orme and The Watch. Driven keyboard pieces duelling with sometimes-spicy guitars, everything supported by solid and reliable drums. Not exactly surprising, but excellent compositions and very well played. Especially ‘In the rocks’, the instrumental part ‘Reclaimed’ and ‘Agus claro’ are prominent examples thereof. ‘Starcurrents’ is an exciting song with a slightly rocking beginning, which leads to an obstinate and adventurous end. Great drumming by the way, by flesh and blood drummer Neil Bettencourt. After an acoustical guitar intro, suddenly ‘Song of the pond’ heads to some sort of Canterbury influenced song. Think of Hatfield and the North. ‘A gathering storm’ is a jazz rock based song. That’s also possible on this album. ‘The waterfall’, the song that has the honour of being the title song, is once more a very creatively and moving song. With ‘Catch the wave’ we hear vocals again and all of a sudden we notice that since the third number of the c.d. most songs are mostly or completely instrumental, but so entertaining that vocals are barely missed. The last song is a rewrite of a Bach piece: ’Prelude in C min’. Beautifully done, but I prefer Carpani’s own compositions. This c.d. has definitely outnumbered my expectations. Technically spoken, the production is excellent. However, traditionally composed it is never the less distinctive enough to add something to the existing oeuvre and it offers ten highly captivating and pleasantly sounding songs. Alex performs live with his Alex Carpani band ‘Waterline’ a multimedia show. The band members are Alex Carpani (keyboards and vocals), Former ‘The Watch’ guitarist Ettore Salati, Maco Fabbri on drums and Bass player, guitarist and singer Fabiano Spiga.